Rashmika Mandanna who became an overnight star with her act in Geetha Govindam is set to pair up with Nithiin in her next film to be directed by Venky Kudumula. 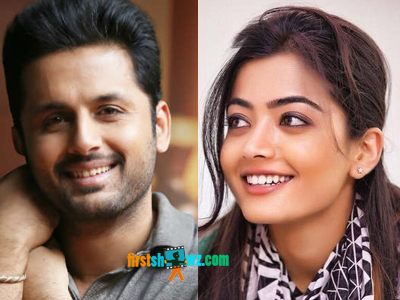 Venky Kudumula earlier directed Naga Shaurya's Chalo, and he is now set to commence the shoot of his next movie with Nithiin, Rashmika as his lead stars. The shooting will begin soon, and sources say Venky Kudumula who worked with her in Chalo wants to rope in the actress again for his next. Rashmika Mandanna is also shooting for Vijay Deverakonda starrer Dear Comrade, and she is also one of the heroines in Nagarjuna and Nani multistarrer Devadas. With a couple of hits in her kitty, Rashmika is going great guns in Tollywood.